This post laser beams in on two of the best VR (virtual reality) gifts – the cheapest and the most inventive. We’ve all been talking about VR for years, but for a while, it seemed it was never going to become an integrated part of our entertainment worlds. Well, I am happy to say that we are finally there – VR is now available and accessible, to transform our movie-watching and game-playing experiences into awesome VR experiences. If you want to give the gift of VR, the prices and choices can be overwhelming. So we have focused on just two top choices – the $13.99 Google Cardboard VR, and the $500 Sony PlayStation VR. Despite the huge difference in price, both of these are excellent VR gifts, which is why we have voted them the top two best VR gifts for this season. Why are these two the best VR gifts? Well, Google Cardboard VR offers the cheapest possible VR gift option, yet it actually works really well as a fun toy and as a great introduction to VR. The Sony PlayStation VR is a lot more expensive – BUT it was also voted top invention by Time magazine. 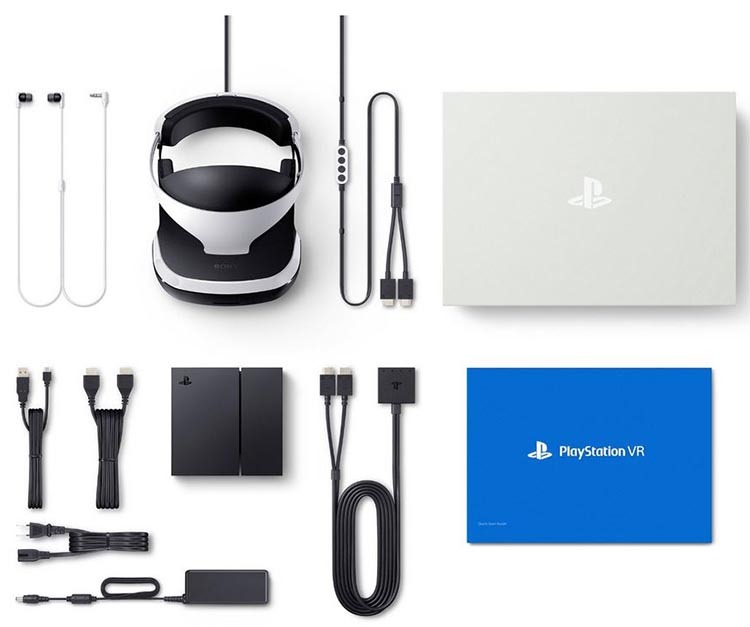 Plus, the Sony PlayStation VR is a whole lot LESS expensive than many other VR sets, is incredibly comfortable, and can be used by anyone who has a PlayStation. All of this makes the Sony PlayStation VR a great choice if you want to give someone the gift of endless hours of awesome fun. Yes, I did say awesome! When was the last time you went “Whoa!” in an awed voice while watching a movie, playing a video game, or doing pretty much anything, really? These new VR units have that effect on everyone, from kids to seniors.As you can see in this video, where a 90-year-old woman gracefully and excitedly discovers VR. That kind of excited reaction is pretty much priceless, in my opinion. And it also means that your VR gift will most likely be very memorable and very much appreciated, no matter who you give it to – your grandmother or your grandson. I am not going to compare these two VR headsets feature for feature – given the price difference, that would just be plain unfair. Something that costs twenty dollars is just not going to be able to compete with something that costs five hundred dollars (unless perhaps the twenty-dollar thing was a puppy and the five-hundred dollar thing was a vacuum cleaner). What I AM going to do is explain why either of these devices would make a great VR gift. Google Cardboard VR fits the bill if you are looking for VR technology that is really cheap. It is by far the best cheap wearable technology gift available. Basically, Google Cardboard VR is a whole lot of fun and an introduction to the exciting world of VR – for less than $15! At first, I thought there must be a catch. But no, this is pretty simple stuff: Google wanted to test the waters with VR, and get developers started making VR apps. So they made Google Cardboard VR, which is exactly what it says: a VR device made out of cardboard. 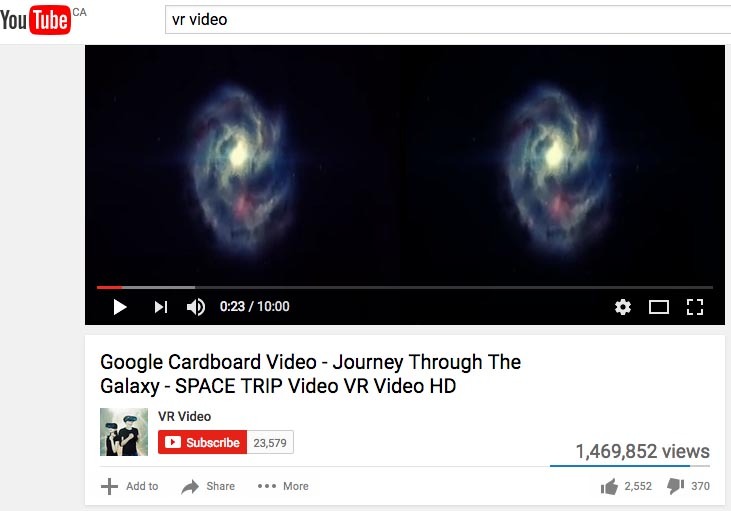 So, Google Cardboard VR is a wearable VR unit made out of cardboard. In its most basic form, you have to hold it on your head, while you take a look at the wonders of VR. We are now at Google Cardboard VR Version 2, which is new in that it accommodates newer, larger cell phones (up to 6 inches). You cannot really go wrong for twenty dollars, so the only hard thing is to decide who to buy it from. Many retailers have taken the Google technology and added on really useful extras – such as head bands, so that you don’t have to hold it in place, and nose and head pads for increased comfort. I could not decide which unit to buy, so I went with the #1 best seller. Usually, there is a good reason why items are #1. When I first unpacked the bits of cardboard and the elastic band (!) I was not very optimistic. Plus, it took me a while to figure out how to assemble it. The instructions look impressive at first sight, but turn out not to be very helpful. To be honest, I don’t think I would have managed to assemble it if I did not have a secret weapon – a 16-year-old daughter. She helped me to figure it out, and we actually had some fun doing it. Oddly, the most fun we have had together for ages. It’s fun when your kids start to be so smart that they can help you out! The version I am reviewing here comes with a simply headband that works remarkably well to keep the VR headset on your head without having to hold it. Finally I got to put my phone into it to try it out. I have an iPhone 6, which fits just fine. The minute I put my new Google Cardboard VR on, I suddenly realized what VR means – that amazing feeling of being immersed in a world that is in fact completely virtual. VR enables you to experience things that would otherwise be impossible. Huge numbers of app developers have responded to Google’s initiative by developing apps that work with it. For example, the Bohemian Rhapsody Experience enables you to experience the sensation of being onstage with Freddy Mercury’s band, complete with audio and visual components. The bottom line I found: Google Cardboard VR lets you give the gift of VR for the price of a stocking stuffer. And if you give Google Cardboard VR as a gift – you can be sure it will be the most talked about cheap gift of all, and you will be remembered for being so original. It’s just such a remarkable little gadget. And for this price, you really cannot go wrong. OK, so this is the gift I would have pretty nearly KILLED for as a kid. This is like all my childhood dreams have come to life in 3-D surround sound and 3-D surround vision. Even if your gift recipient never plays any games with it (which would be like never taking an Aston Martin out of first gear), they will STILL have an awesome time watching movies with it. 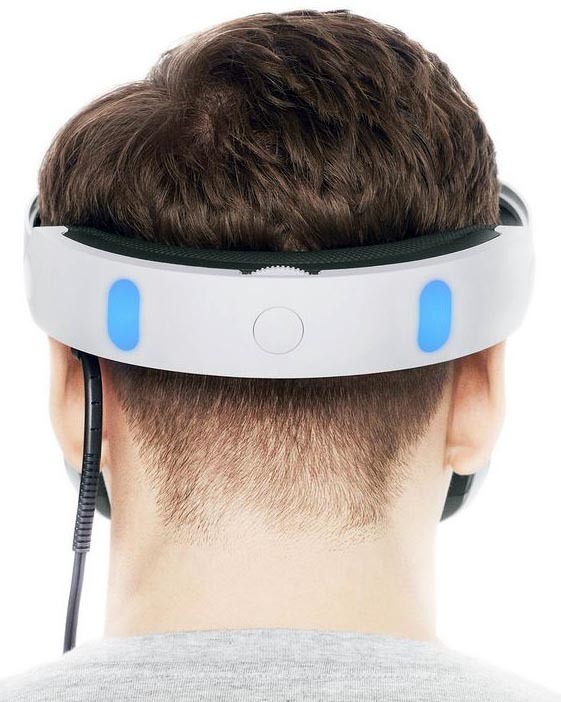 With a Sony PlayStation VR on your head, you can sit down on your couch, not bothering anyone (such as someone you love who happens to be watching Bachelorette), and be transported to another living room – only a much better one, where you are watching a giant version of, say, Star Wars or Star Trek. 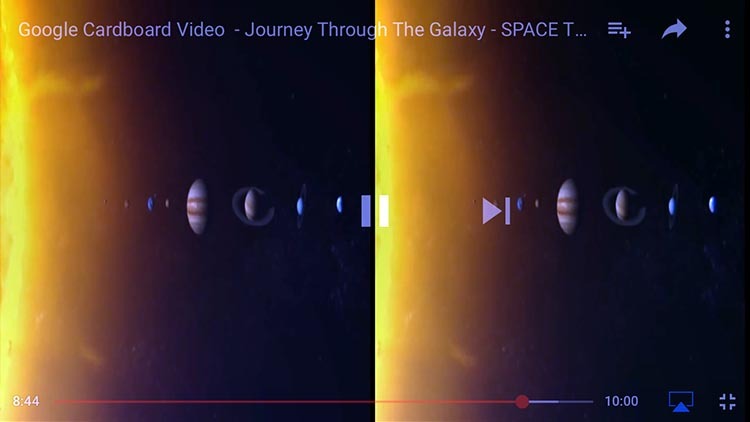 The screen appears so large that it is like an IMAX experience, right in your own head. Or, you can just go and stand in a corner and make quietly awed noises as you become Batman and walk into your very own bat cave (using the popular game, Batman: Arkham). And there you are, having an awesome experience without bothering your significant other at all. Some people worry that VR is going to isolate people more, but on the plus side, I think it is going to save a whole lot of marriages! What do you need to own to use a Sony PlayStation VR? The person you are buying this for must at least have a PlayStation; and to interact in virtual space in games, must also have a PlayStation camera. On the plus side, the headset is super light and comfy, and can be adjusted to accommodate glasses, if your intended gift recipient wears glasses. The set comes bundled with a whole lot of VR and video experiences on a demo disk, and many more free apps can also be downloaded. Beyond that, your lucky gift recipient can play whatever PlayStation games they already own, or buy some of the games that are really awesome for VR experiences, such as Robinson: The Journey, which lets users explore a new world as if they are actually there. How else could anyone possibly have such an experience? Other great games to experience with a Sony PlayStation VR include VR Worlds, Until Dawn: Rush of Blood, RIGS Mechanized Combat League, and London Heist. Plus, Sony PlayStation VR is a gift that will just keep on giving, as hundreds of studios are currently working to produce new games. It would be hard to go wrong with either of these VR gifts. Either way, you will be giving the gift of an awe-inspiring VR experience. In terms of price, you can go low or go high – either way, your gift recipient is in for an awesome experience. It is very likely that the Google Cardboard VR will turn out to be a “starter” VR headset. But you will have the honor of having started her or him on the exciting journey into virtual reality. The future has arrived, and it looks like a whole lot of fun!